Breastfeeding is a wonderful thing to do for your baby's health and for yours as well. It certainly can come with it's obstacles, however. Something that I have noticed is that latching on baby with one hand can be difficult when your shirt keeps falling in their face. Happened to you too? LatchPal has a solution to this problem with a convenient breastfeeding clip that you attach to your shirt. 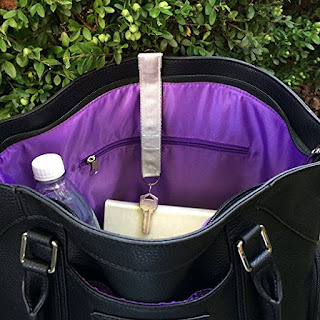 I won a LatchPal in the Dots design and am going to share how to use it, more about the company and my thoughts about the product. Let's start out with the basics behind the company that makes this product. LatchPal is a parent-invented and trademarked product from Happy Fig LLC in Chicago, Illinois. 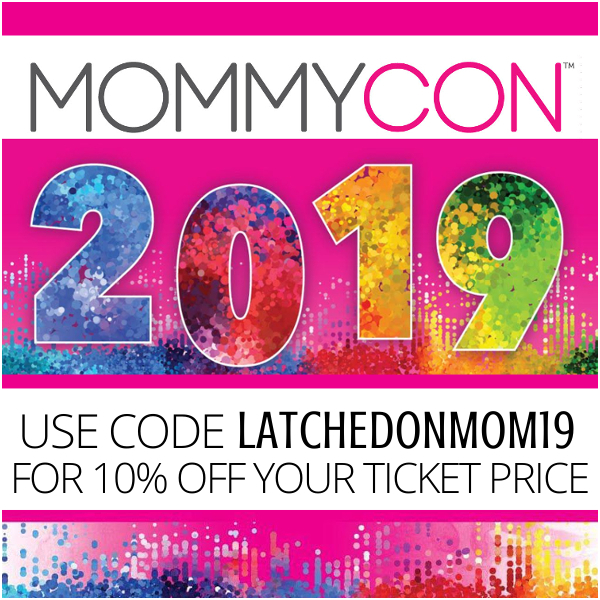 I asked Melissa LaHann, the founder and CEO of LatchPal, what motivated her to begin the company and she said, "As a nursing mother, I knew there had to be a way to eliminate chin-cinching and the nuisance of a falling shirt during breastfeeding. My goal was simple, I wanted a clear view of my baby and breast, so I could sit comfortably, maximize milk flow, and bond with my baby. Just like that, the LatchPal Breastfeeding Clip was born." I also asked what inspired her for the designs, and she said, "Our modern yet simple designs celebrate the playfulness of motherhood while being discrete, fashionable, and calming (to your child) as you nurse. 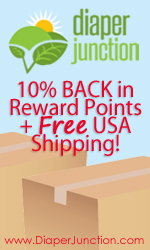 We love getting fan feedback and our current collection was chosen with the input of moms like you!" Melissa wanted to share that LatchPal is a labor of love. 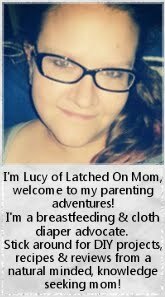 "LatchPal isn't just a product, it's a promise to help moms nurse comfortably and confidently so they can reach their breastfeeding goals." Here is a very informative video that LatchPal put together showing how to attach. To sum up the video, basically all you do is slide the LatchPal in the open postion down the inside of your shirt and attach the clip to the neckline. Then grab the bottom that's hanging inside your shirt and pull it to the front. Next, hang the ring over the top of the clip. Now your shirt is securely held out of the way. 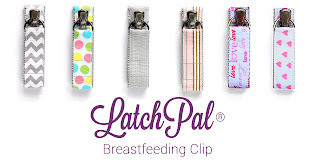 LatchPal can be used for MORE than just holding up your shirt while nursing. It's also great while pumping. You can use it as a breastfeeding reminder clip. Any time that you would be messing with your shirt and think that you need to free up your hands, this is a handy tool. 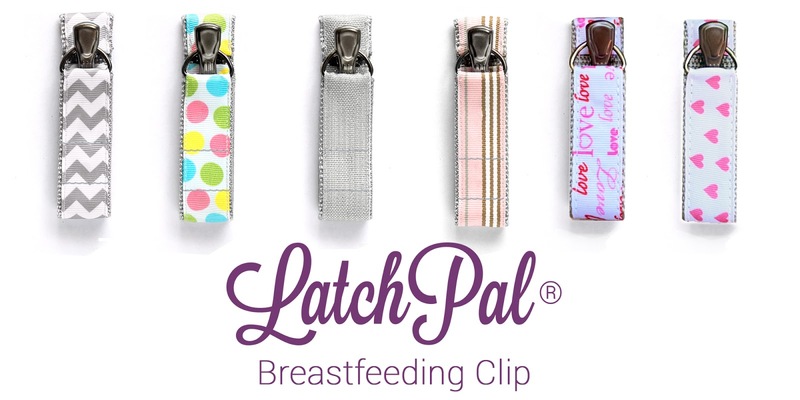 LatchPal can hold onto your baby's pacifier, keys, or hand sanitizer. It can secure your toddler's clothing while potty training, even! 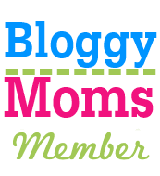 The benefits go beyond breastfeeding! I found it to be very easy to use and it gave my little one something to look at too, which is great because instead of sticking her fingers in my nose and mouth (YUCK) she fidgeted with the LatchPal! The first time I tried putting it on, I actually did it "wrong," by clipping the ring instead of hanging it over the clip... although it still completed it's purpose with this error. I have read this is common with others the first time using it, too. Please make sure to watch the video first to avoid feeling silly about this mistake. The fabric is made from a sturdy man-made canvas material that's easy to spot clean and dries in a snap. The clip is an "antique silver" and has a little rubber tip to help grip your clothing, without snagging. There are 6 designs currently available, but you can contact them about custom designs! 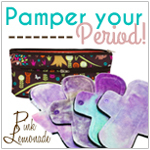 You can purchase by shopping directly on LatchPal, or on Amazon. What's my favorite thing about LatchPal? I love companies that want to make breastfeeding hassle-free and have their focus on the comfort of baby. All my children have preferred to nurse without any view obstructions! No! 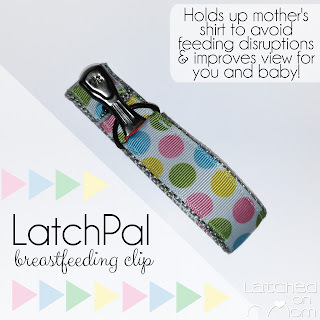 LatchPal is made well, quite stylish and effective at keeping my shirt out of baby's face! I give LatchPal a 10/10! LIKE LatchPal on Facebook to keep up with promotions and special deals! Which LatchPal design is your favorite? Would you like to see a different design? Comment below! I love the pink hearts print best! Thanks for suggesting other ways to use the Latch Pal! This seems particularly useful with an older nurser who won't be still and causes everything to fall. The flipside, though, is since the shirt is held up the hwole time with an older nurser more prone to popping off you'd be exposed the entire time rather than the shirt maybe falling down to help you out, lol. What a great idea! I love the grey arrow design the best! I like the plaid one. I love the gold shimmer design!! Super pretty!! I love the grey chevron! Super cute and unisex!